LCD and OCA laminator with forms for Samsung is used to connect curved displays with a new glass of Samsung S6 EDGE, S6 EDGE +, S7 EDGE, S8, S8 +, S9, S9 +, NOTE8 and flat displays as well as applying OCA slices on a new curved glass. The entire joining process consists in pressing the two elements together with a heated pressure press using a pressure of 3-5kg / cm2 in a vacuum. The attached forms for these Samsung phone models are used for this purpose. 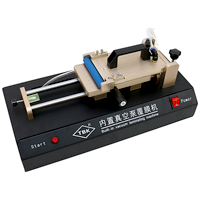 Vaccum OCA laminator TBK 761 with build-in pump is used to apply tapes OCA glue or polarize filter on phone display. The device is characterized by high precision, quickly repair LCD, improve repair efficiency and easy operation. Automatic vacuum laminator TBK763 OCA 7'' (Compressed Air version) is a model that does not use a vacuum pump and the vacuum generation is performed on the basis of a venturi pump. Laminator need to be connected to the compressor. The vacuum is produced by pressing the VACUUM and results from the dynamic release of air through the laminator from the tank compressor. It also provides automatic movement of the lower area of the suction LEFT AND RIGHT trigger button. suction area to the left and right. Automatic vacuum laminator TBK K-765 7,4"
Automatic vacuum laminator TBK K-765 7,4" is used to apply tapes OCA glue or polarize filter on phone display. The device is characterized by high precision, quickly repair LCD, improve repair efficiency and easy operation. This laminator has built-in vacuum pump. Automatic vacuum laminator OCA TBK K-766 12'' is used to apply tapes OCA glue or polarize filter on tablet and phone displays. The device is characterized by high precision, quickly repair LCD, improve repair efficiency and easy operation. Diffrence beetwen other vacuum lamiantors is that this one uses compressed air to create a vacum. Precision Vacuum Laminator M-TRIANGEL 2 in 1 with build-in pump is used to apply tapes OCA glue or polarize filter on phone display. The device is characterized by high precision, quickly repair LCD, improve repair efficiency and easy operation. Vaccum OCA laminator Type 2 is used to apply tapes OCA glue or polarize filter on phone display. 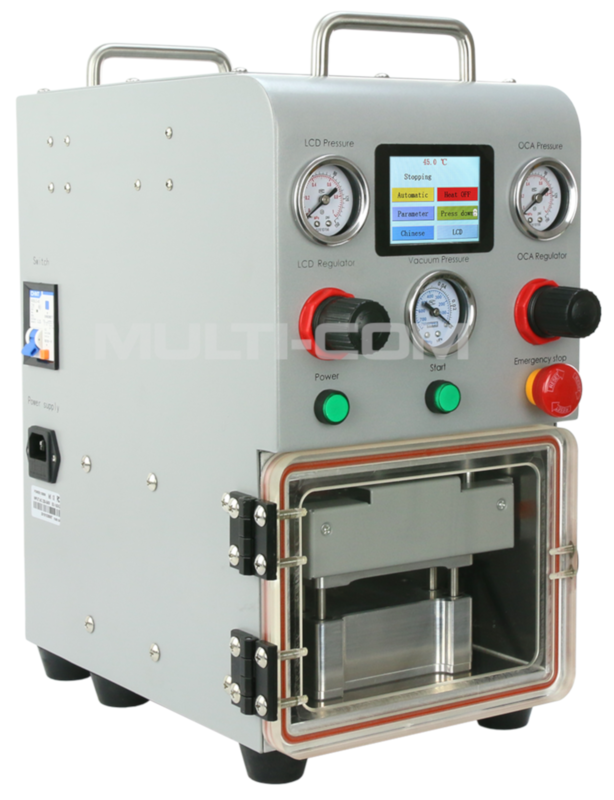 The device is characterized by high precision, quickly repair LCD, improve repair efficiency and easy operation. Automatic vacuum laminator OCA TBK K-786 Edge with build in pump is used to apply tapes OCA glue on S6 EDGE, S6 EDGE+, S7 EDGE phone displays. The device is characterized by high precision, quickly repair LCD, improve repair efficiency and easy operation. HONGZHUN JIDIAN FM-02 laminator 2in1 with build-in pump is used to apply tapes OCA glue (up to 6,7") or polarize filter on phone display. 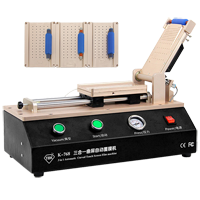 The device is characterized by high precision, quickly repair LCD, improve repair efficiency and easy operation. 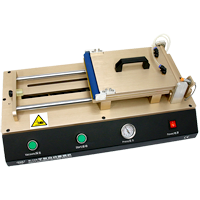 Pneumatic LCD OCA TRX-50 professional vacuum laminator is used in OCA technology to repair LCD screens. Unit comes with a set of seven forms (iPhone 5, 5C, 5S, 6, 6+, 6S, 6S +, EDGE Samsung S6, S6 EDGE +), and pneumatic fittings. 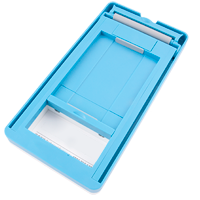 Laminator is used for applying patches of adhesive OCA on the phone display to glue it to the new fast. Yes sized display with fast goes into the autoclave which is also in our offer. 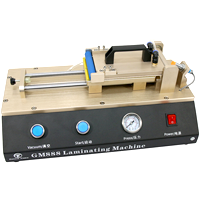 Laminator can also be used to replace filters or polarizing layers of protective LCD. The device is characterized by high accuracy and the ability to quickly carry out the whole process of applying patches OCA or replacement polarizers. 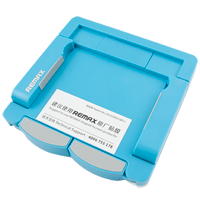 OCA Screen Support adapter for Remax is additional accessories for attach maichine (remax) that allows easy and quick apply OCA adhesive sheet to phone glass/digitizer. 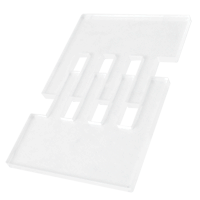 Dimensions of OCA support: thickness 5mm and adjustable length from 113,5mm to 140mm. 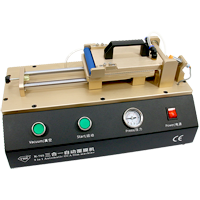 5.8 inch Screen Attach Machine is machine suit for all mobile phone within 5.8inch, great for professional cellphone screen film attaching, such as iphone 5 5c 5s 4 4s and samsung htc sony etc. smartphones. Simple to use and operation, would be a great tool machine to attach the screen film. Fast and precise to place your new LCD protector film on your phone screen. Can protect the film surface, non-scratching and no bubble. 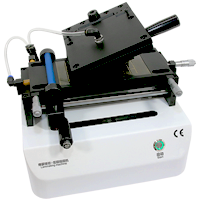 REMAX Screen Attach Machine for tablets Precise alignment, this machine holds tablet stably and securely. Adjustable push & pull plate, width can stretch between 11.5cm - 21cm, widely compatible with most tablets. 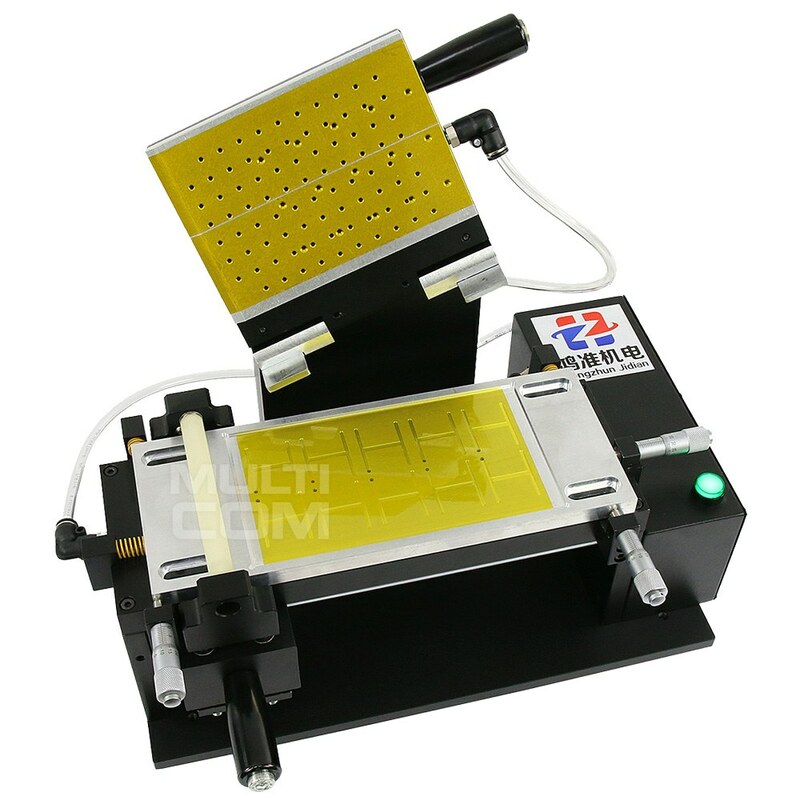 Easy to operate, great machine for professional tablet pc screen film attaching. Can protect the film surface, non-scratching and no bubble. This product does not need to use the specialized screen protector. 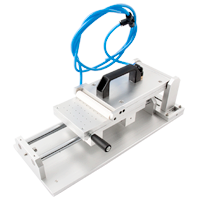 Simple, fast, precise, universal and versatile, the best screen attach machine.